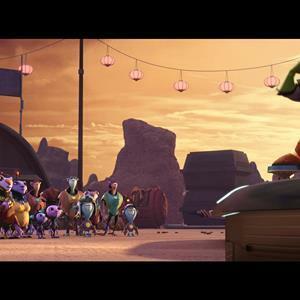 The director of the Ratchet and Clank Movie, Kevin Munroe, was interviewed on USA Today concerning the story of the Ratchet and Clank Movie, and how the new set of characters play into the film. He says it is truly a nostalgic journey for all. Ratchet is a Lombax who thinks he's the last of his kind. He feels like he's destined for more than fixing ships, and wants to be a Ranger like his hero, Captain Qwark. 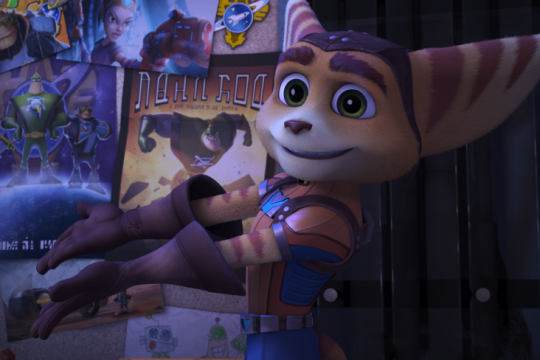 Qwark thinks that Ratchet has everything but the right stuff to be a ranger, and shuns him for the beginning of the film. 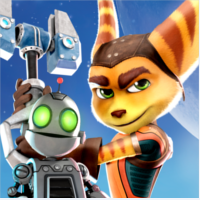 When Ratchet meets Clank, everything changes. Clank is a warbot who malfunctioned, and feels like a defect. However, he is quite smart and has a good heart when it comes to doing the right thing. 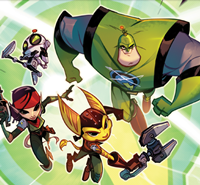 As for the three new Rangers, Cora, Brax, and Elaris, they begin to take a fondness for Ratchet and Clank. Brax acts as the tough guy, who sees Ratchet as a little brother. Elaris is the tech guru who provides the Rangers with weapons, gadgets, and battle plans. Cora is the female warrior-type who has a huge beef with Ratchet for joining the ranks. Bella Thorne said that her voice tends to be low when voicing characters, but the directors wanted it even lower! She replied, "Ok, we DO want to make sure this is girl though, guys!" James Arnold Taylor says his most beloved part of the movie is that David Kaye, Jim Ward, and Armin Shimmerman get to share the experience with him. Most Hollywood movies tend to use A-list actors as the replacements for main characters, but he was thrilled that they kept their roles for the movie and the Ps4 game. 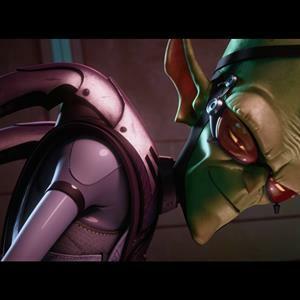 Insomniac Game's very own Ted Price, talks about how they strove to adapt the Ratchet and Clank Movie/game right in an interview with IGN. Partnering up with Rainmaker Entertainment was like a breath of fresh air for them, since they tried to be as honest to the source material as possible. This has been one of their biggest collaborations, even to the point of sharing assets with each other. When asked what other Insomniac franchise they might like to see come to the big screen next, Price was quick to suggest Resistance. Apparently, they came pretty close to making that a reality. 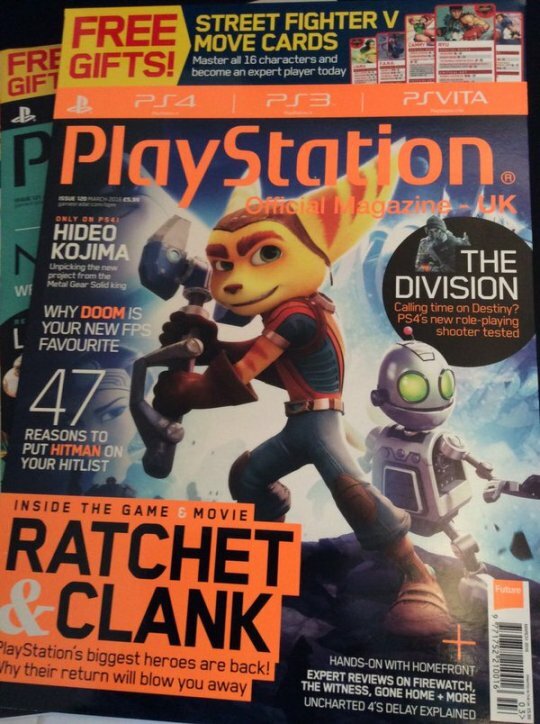 This Thursday, Ratchet and Clank are the main attraction on Playstation's Magazine! Let's hope to find more info about the Ps4 game, which comes out in the USA in almost 2 months! 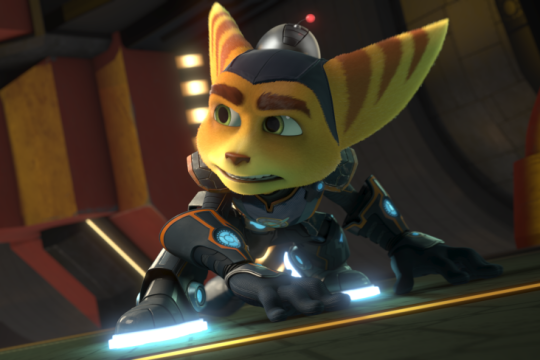 For more news on Ratchet and Clank, stay tuned to Ratchet Galaxy. I hope there's no love interest between Ratchet and Cora. I simply hope there's no love interest between Ratchet or anyone! His relationship should be focused on Clank. "I simply hope there's no love interest between Ratchet or anyone! His relationship should be focused on Clank."